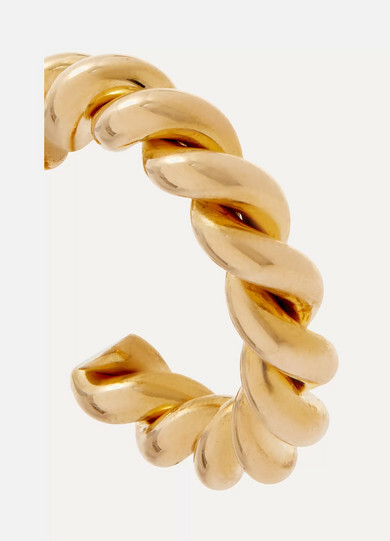 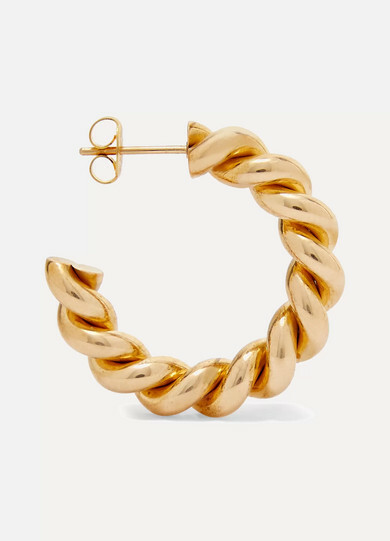 Laura Lombardi's 'Mella' hoop earrings are handcrafted from two pieces of gold-tone brass, carefully twisted for visual interest. 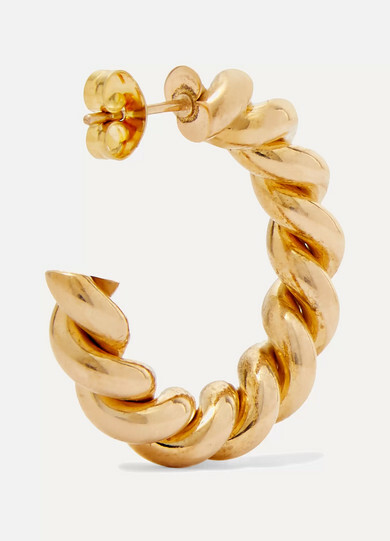 They're surprisingly lightweight and will go with everything from T-shirts to cocktail dresses. 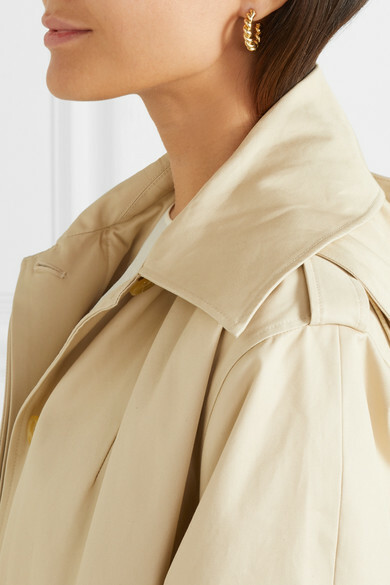 Shown here with: Jil Sander Top, Joseph Trench coat.